Does it come with the box? I want very much to bid for the Kate Spade bag that Ms Tin Pei Ling is donating to an Association of Women for Action and Research (Aware) fundraiser for auction on Sept 10. No one really knows what - if anything - was in the Kate Spade box. It could be a Kate Spade bag. It could be a dead raccoon. It doesn’t matter. It’s the box that is famous. I don’t mind paying the $500 reserve price for just the empty box - though another dead raccoon would also come in handy. 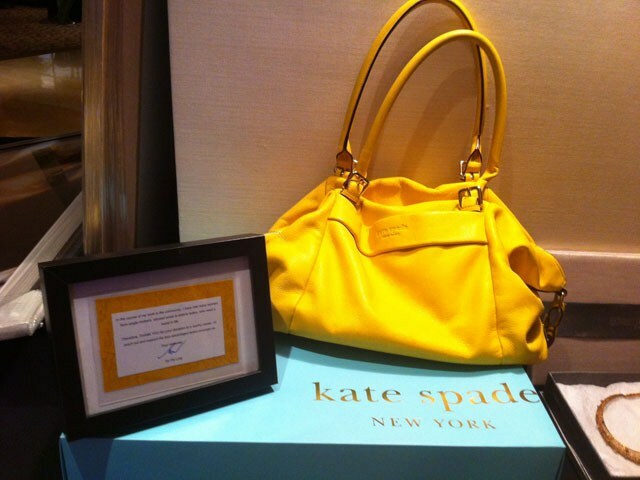 But why stop at Ms Tin’s Kate Spade bag (or box)? Being a citizen of the current and future richest country in the world (according to the 2012 Wealth Report compiled by Citibank and Knight Frank), I’m flushed with so much disposable cash that I’m also looking to acquire other local cultural flotsam and jetsam drifting out there in the vast ocean of Internet memes. Mr Ong is famous for the viral video of him pushing an elderly woman off a stationary bus. He is also famous for wearing a scarf in the video. Photographs of him also show him rocking a scarf. I want that scarf. Her real name is Huina. She was called “the most polite ah lian” because of the viral video of her apparently enduring the verbal abuse of another passenger on the MRT train before eventually retaliating. She later told The New Paper that she didn’t react at first because she didn’t hear what the other passenger was saying as she had her earphones on. They look like Monster Beats by Dr Dre, but I'm not sure. I want those earphones. 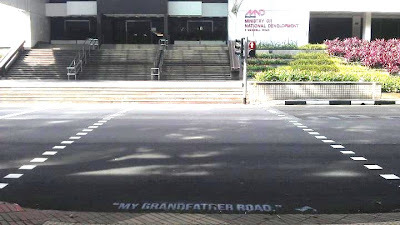 Artist Samantha Lo was arrested for acts of vandalism that included painting the words “My grandfather road” on the road. I want a piece of that road. I’ll pay for the jackhammer. I’m talking about the four-storey-high hoarding showing a shirtless man with no head outside Knightsbridge on Orchard Road last year. I want to get it as a birthday present for my wife. That’s my story and I’m sticking to it. I want to be carried in this everywhere I go by the shirtless guys from Abercrombie & Fitch. 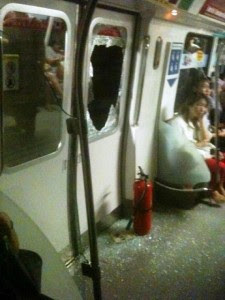 I'm talking about the one that a passenger used to break a train window during The Great MRT Breakdown of 2011. Apparently, it can also be used to put out fires. They wrote a song about it, stealing the tune from Lady Gaga's Bad Romance. I understand Madonna claims Lady Gaga stole from her. I believe everyone stole from Weird Al Yankovic. Not mild or extra hot, but just hot. If I can't get it, I'm going to tweet about it like Joanne Peh did. If I can't get the backpack the maid is carrying for the soldier, I'll take the maid. My mansion needs some tidying up. You can keep the soldier. It has been three years already? I miss her. I'm talking about the white baker boy hat she wore in the popular foot-stamping video. I'm surprised this eye-catching item isn't in more demand than the unseen Kate Spade bag. 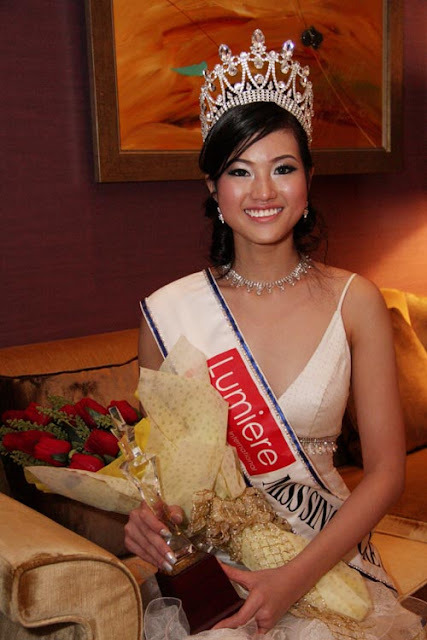 I think it will go perfectly with my Alex Ong scarf and my Miss Singapore tiara and sash on the sedan chair. The dead raccoon is optional.